Wines, like people, are a reflection of their origin and evolution. The Debate began in 2010 when two friends brought their unique perspectives together to create thought provoking and delicious wines that extend beyond the sense of taste to the thrill of telling stories and the art of listening. By selecting three different vineyards with three different expressions of Napa Valley Cabernet Sauvignon and Cabernet Franc, the Debate seeks to point out the diversity of terroir as well as the diversity of people. We live in an age where less and less time is spent at the dinner table discussing these different points of view. The Debate's mission is to bring people together to share a glass of wine to discuss and debate just as our team does. Jean Hoefliger and Rob McKay came together with the idea of creating something different. They wanted the opportunity to build a platform representative of their beliefs. Wine plays a major role in bringing people together who may have different points of views in our subjective world. Whether they are debating politics, sports or wine, our duo consistently brings together a mutual respect for the art of conversation. This is of course with a glass of wine in hand and a barrel of laughs. Jean Hoefliger began a new chapter in his global wine career when he partnered with Rob McKay as consulting winemaker to create The Debate. 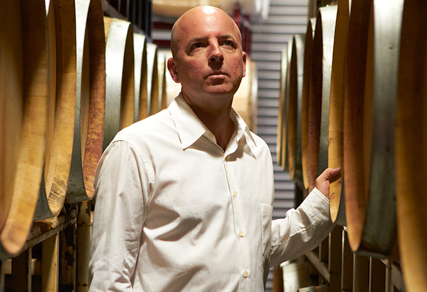 Jean’s winemaking style pushes the envelope to maximize the potential of every wine he makes. Jean is a true believer in pushing for perfection and authenticity in every vintage, and each Debate is a blank canvas in that endeavor. 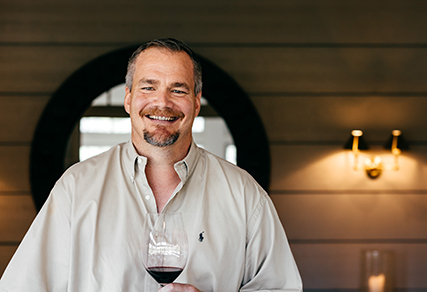 Rob McKay has long been an advocate of the California wine industry, and the right to a point of view. In addition to his thirst and passion for all things wine, his experience as an investor, philanthropist and political donor positions him perfectly to participate in the debate. Every vintage of The Debate is wrapped in newspaper with 'The Debates' of the vintage. Whether its politics, sports, pop-culture or world events, you have the opportunity to reminisce a time, a place and a vintage in history with the people around you. Enjoy the Conversation. As we mentioned, The Debate's mission is to bring people together to share a glass of wine to discuss and debate just as our team does. We have found that tables across the country have asked us for the tools to throw their own DEBATE! There are many ways to build your own experience to make it your own, but please do not hesitate to reach out utilize to our team for assistance info@thedebatewine.com. We have also included some documents to make you the expert!